I have been thoroughly enjoying the theme weeks we’ve been having in February! It makes teaching the boys together so much easier. Plus it breaks up the monotony of just covering reading, writing, and arithmetic from our main curriculums. 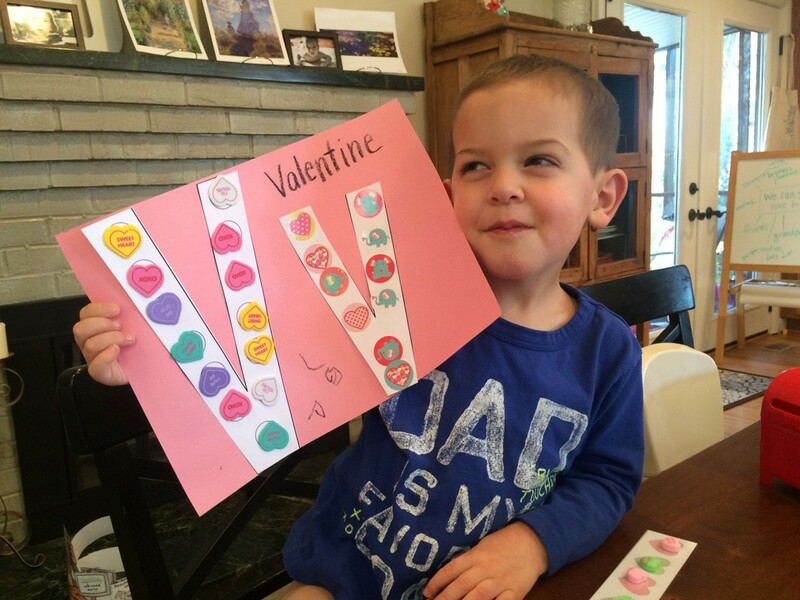 This week was all about Valentine’s Week, and we had so much fun! I did do a lot of prep work for this week, but it was worth it because I know we’ll have lots of fun with it again next year! 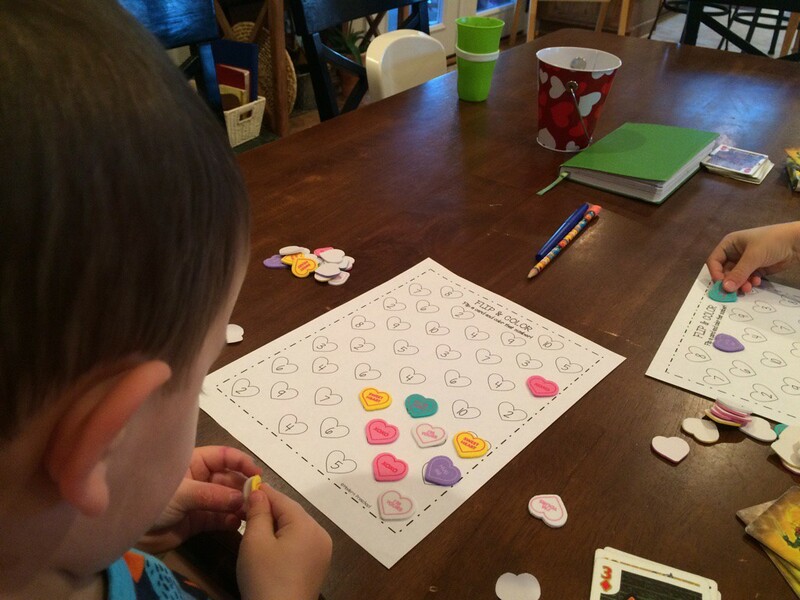 I downloaded this free counting hearts busy bag for Timmy to keep him busy while I worked with Sam. He absolutely loved it. This kept him busy and occupied for quite some time! 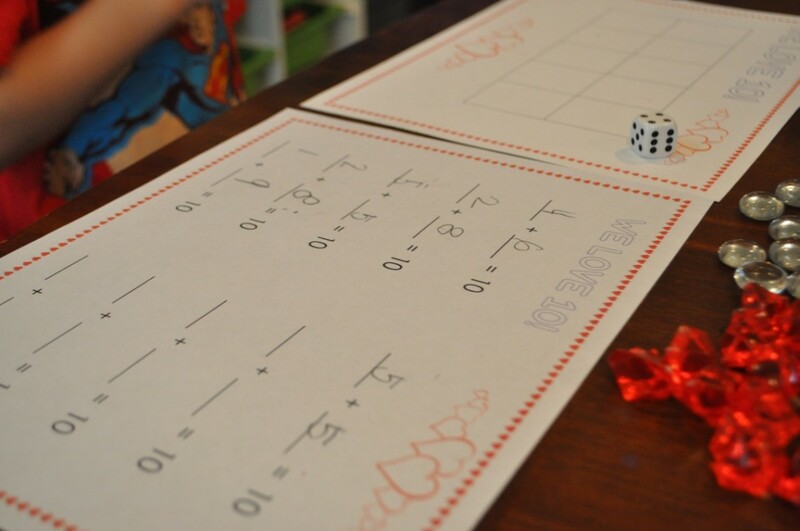 I made 10 of these worksheets for Sam to work on various ways to solve simple addition problems. This activity was a very good challenge for him! I gave Timmy some foam heart stickers to sort by color one day. Again, I was surprised by how busy this kept him. 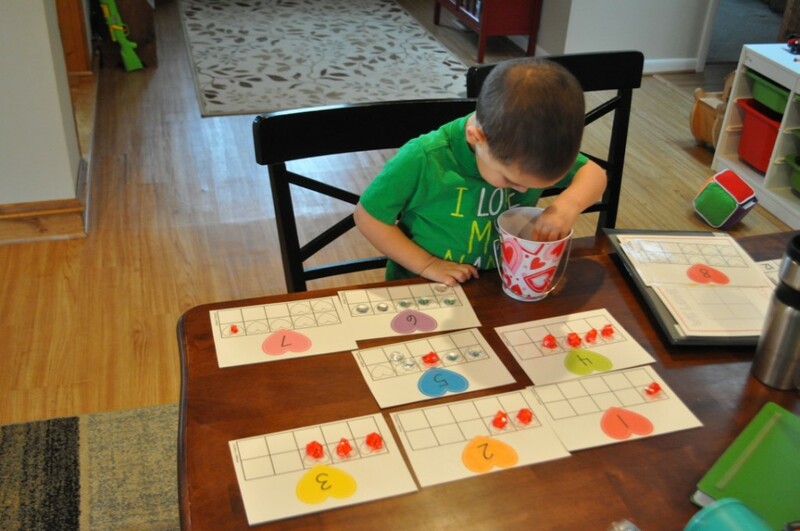 To further his time of play while I worked with Sam on math, I gave him his 10-frames again along with a mini mailbox I got from Target’s Dollar Section. 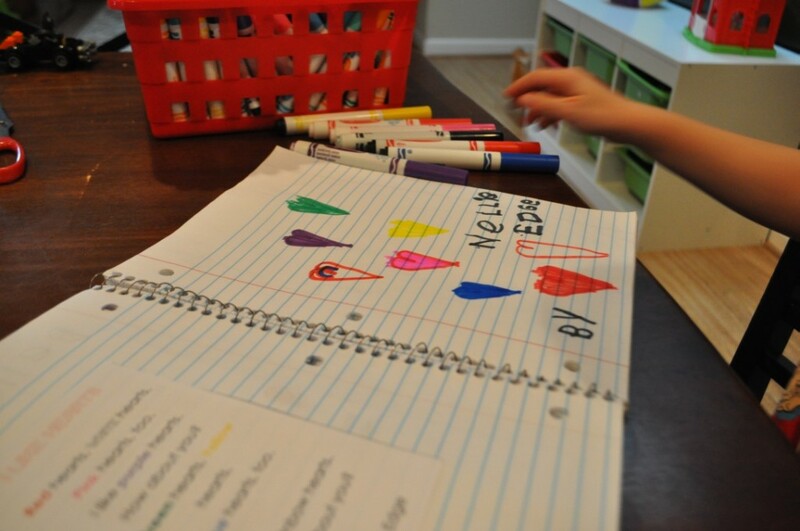 He would go back and forth between filling up his 10-frames and putting heart stickers through the small slot. This was by far Sam’s favorite math activity. 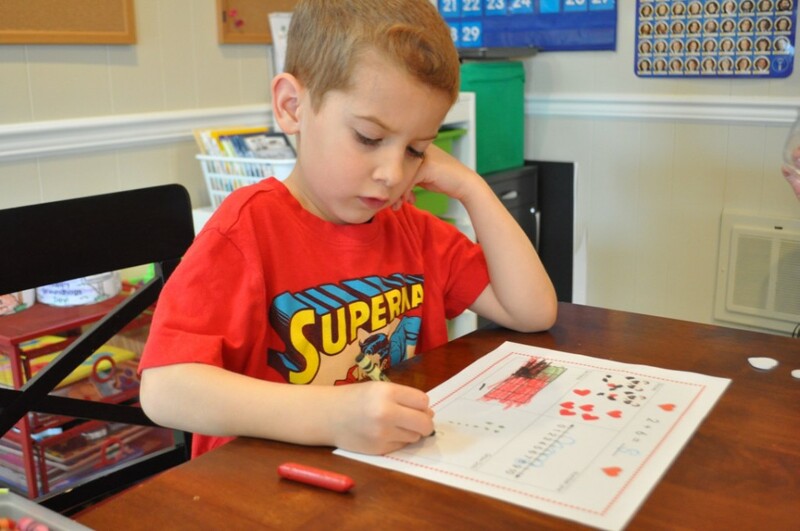 I made him a heart-themed 10-frame and we played with numbers to equal 10. He rolled the die, wrote down the number in the first blank, and put that many red jewels onto his 10-frame. 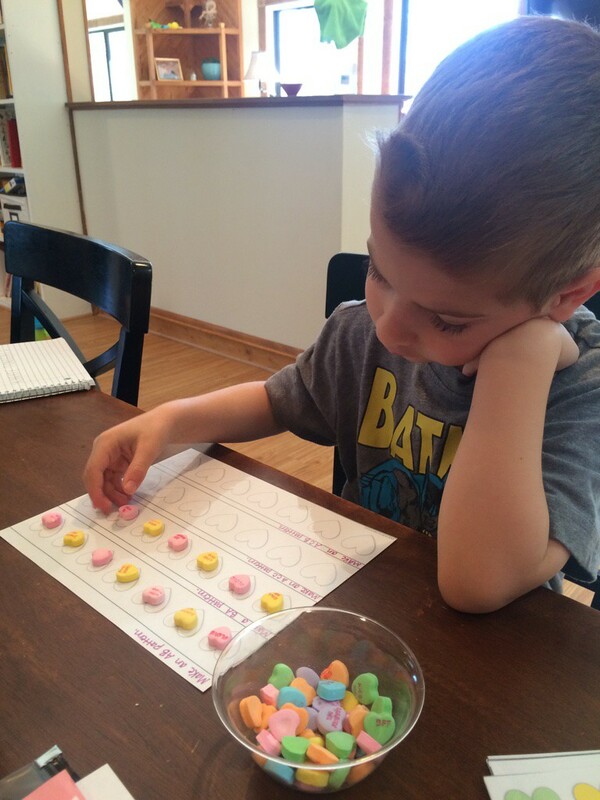 Then he had to use the clear jewels to determine how many more he needed to equal 10. He was actually sad when this activity was over. 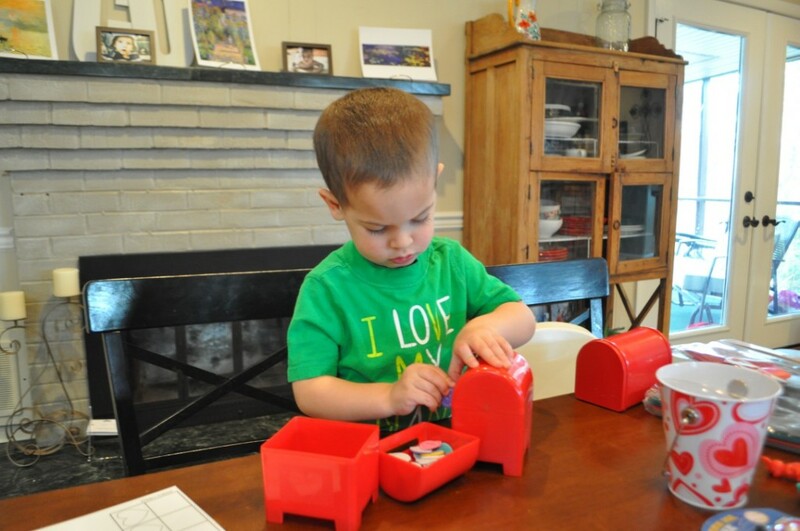 Timmy still keeping himself busy with foam heart stickers and mini-mailboxes. He would put the hearts through the slot, dump, and repeat! 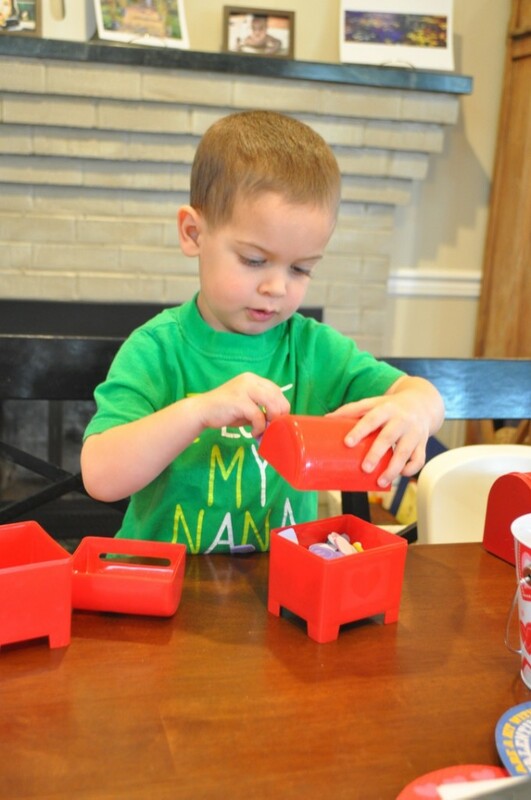 Then he started experimenting with holding the lid, putting the heart through the slot, and getting it to fall into the bottom part of the mailbox. 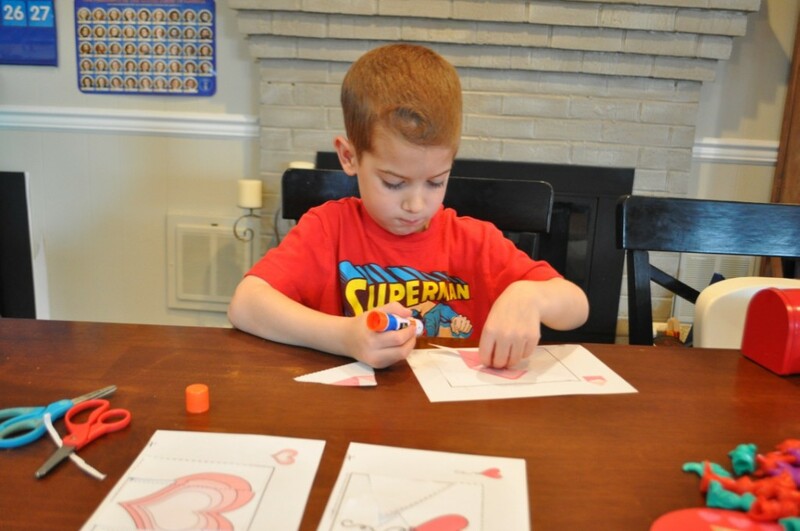 Next we worked on our scissor skills to cut out various heart themed puzzles (which I can’t remember where I got them from – sorry!). After we cut them out, we’d glue them back into place like a puzzle. Sam’s are all hung on the left and Timmy’s are on the right. They both enjoyed this activity! 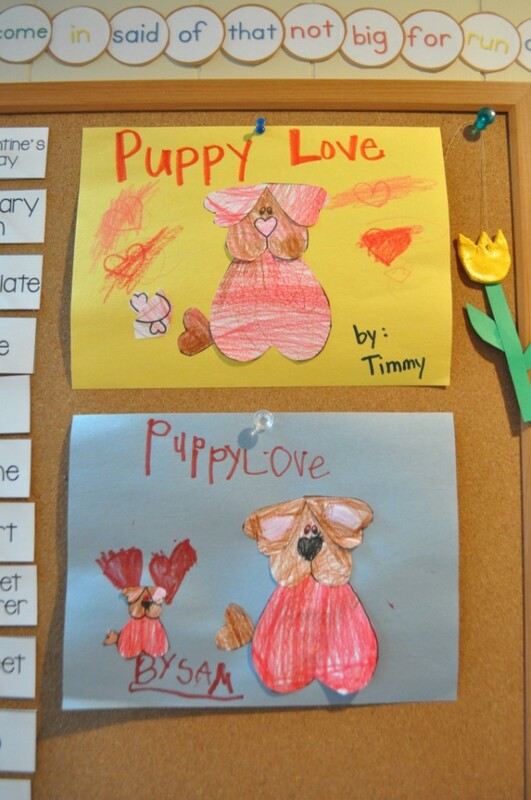 After that, we made a Puppy Love craft. I got the template for this activity here. 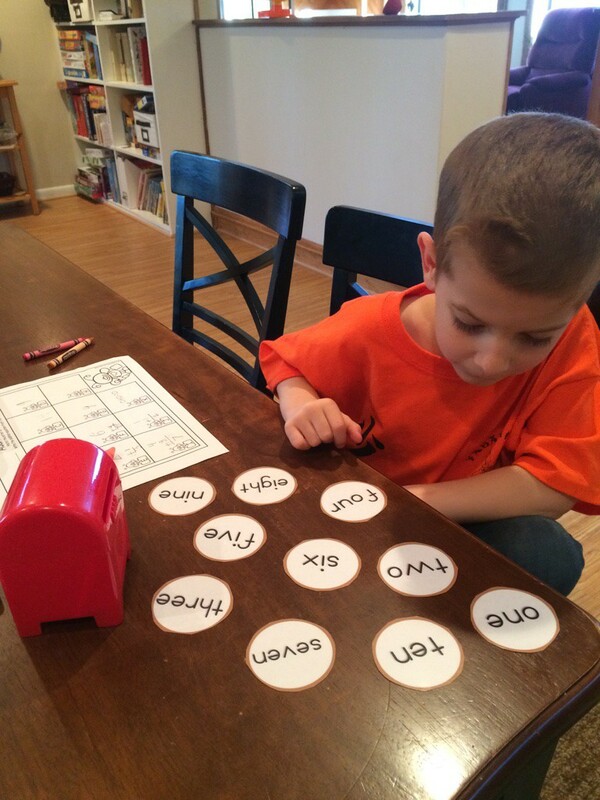 One afternoon I had Sam solve the secret sight words. 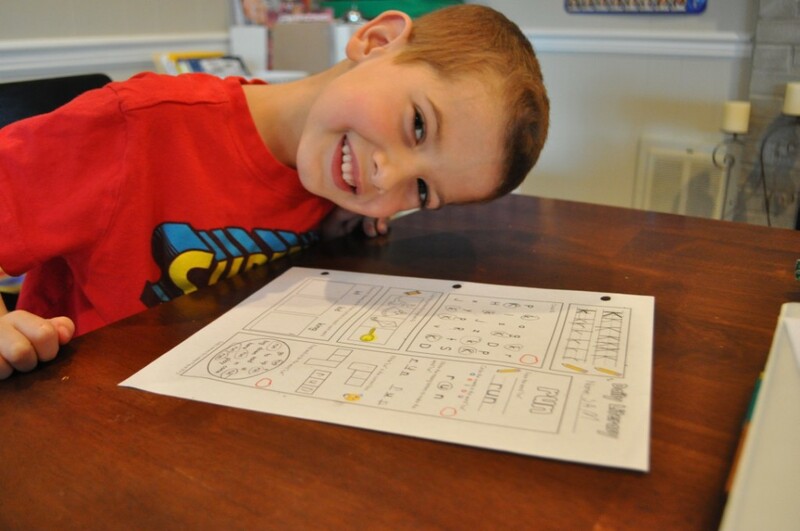 I got these worksheets for free here. I printed off a new poem for him to memorize and after reading it, we added it to our poetry notebook and Sam illustrated the poem. This is one of our favorite activities when I have time to pull new poems together. 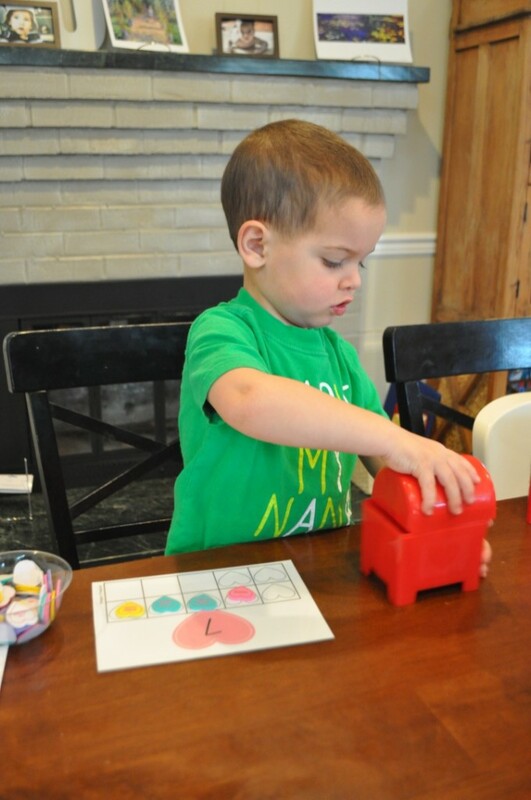 Plus this one worked on the color sight words which was great for him! 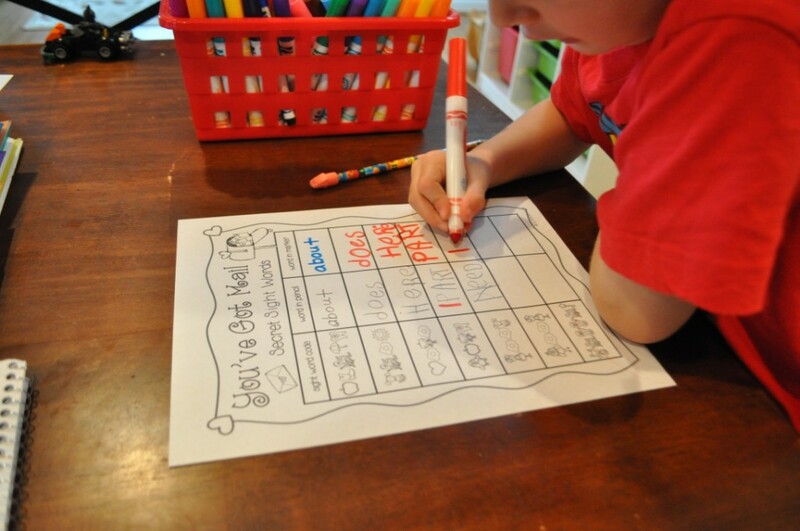 I created a simple “I Can Measure Hearts” fill in the blank worksheet for him. 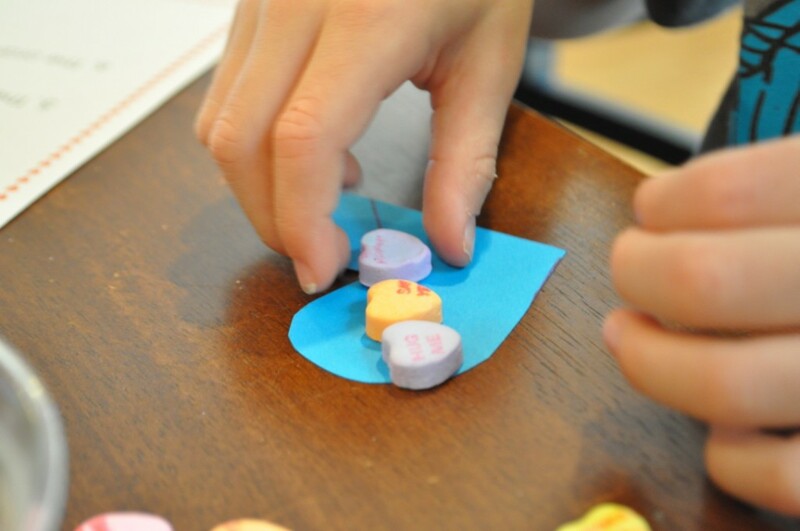 Then I cut out various sized hearts and drew a line through the center of each one. 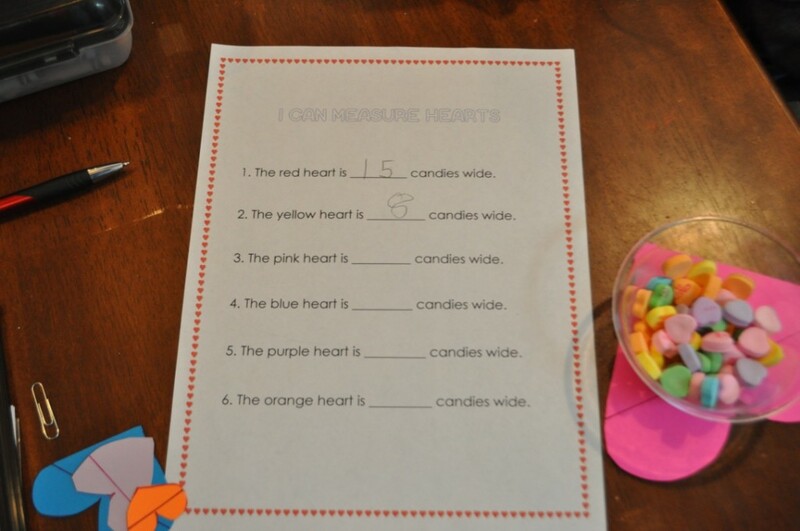 He had to line up the candy hearts and write the correct answer in the blank. 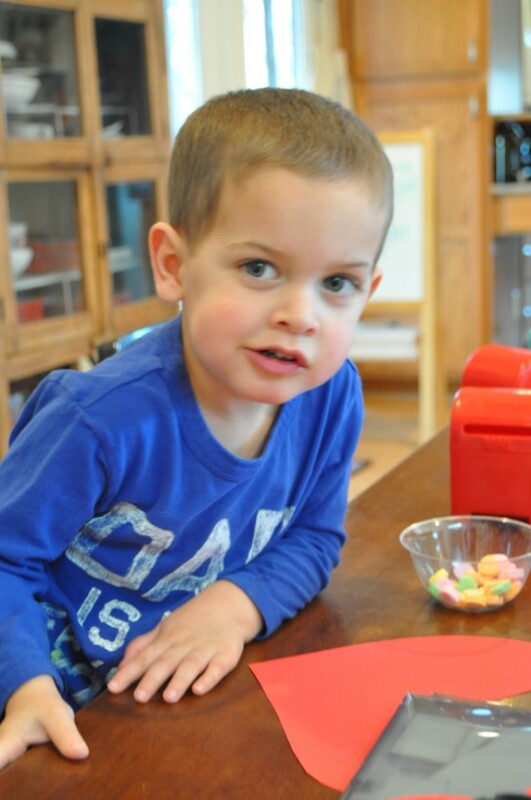 Another activity that he loved! 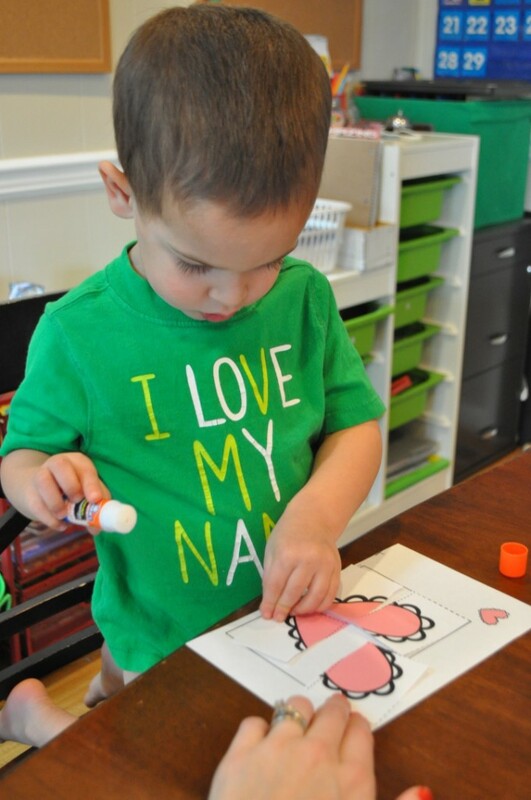 Timmy wasn’t even remotely interested in anything except eating his candy hearts on this day! 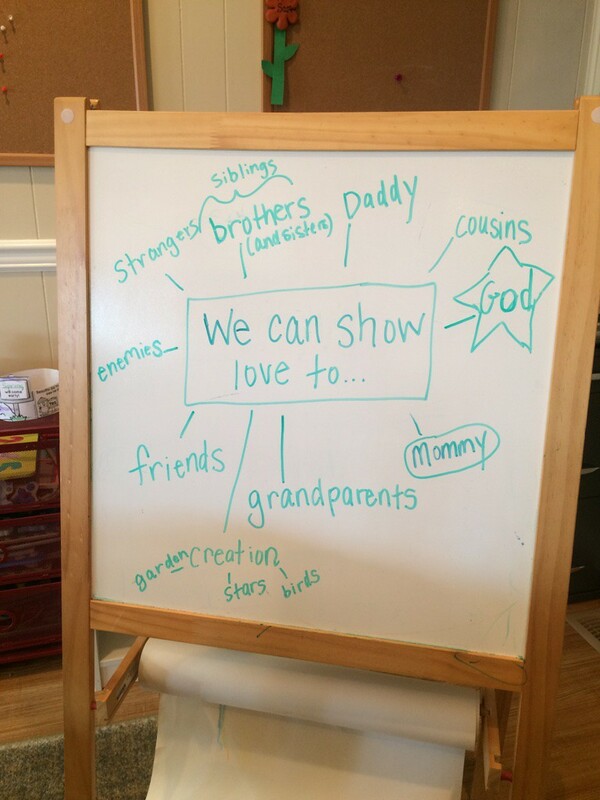 We did a mind map one day of all the people we can show love to. I thought it was interesting that Sam said “enemies” on his own. I love when I get to experience God’s word transforming these little hearts. 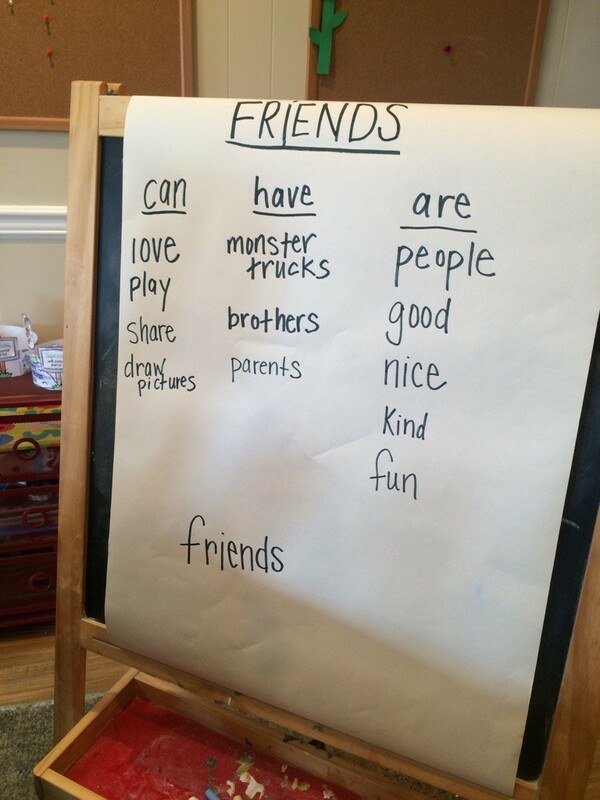 On another day we did some more talking about friends to work on sentence structures. 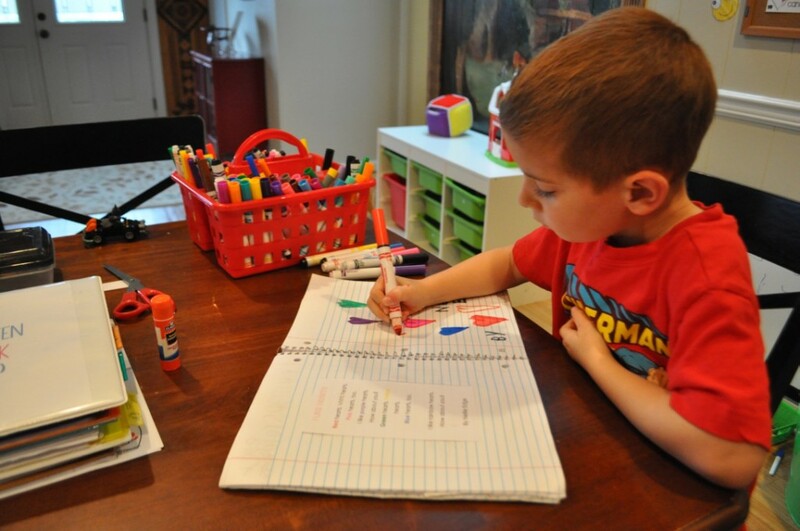 He had to write a sentence on each of these days and illustrate the sentence in his notebook. 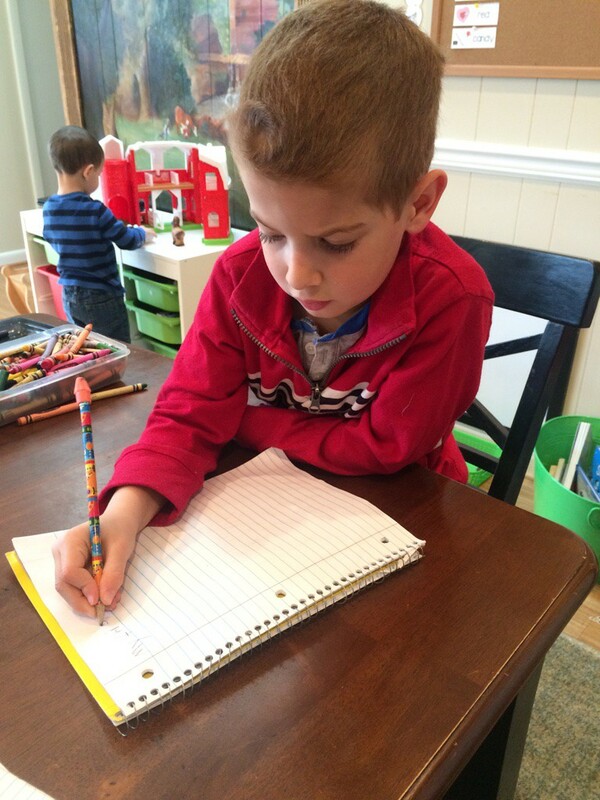 We haven’t done a whole lot with sentences this year because it’s too exhausting for him. I don’t want to push him in this area too early, so this week was very gentle in its approach. He did well with it, but I’m going to continue keeping this at a minimum right now. 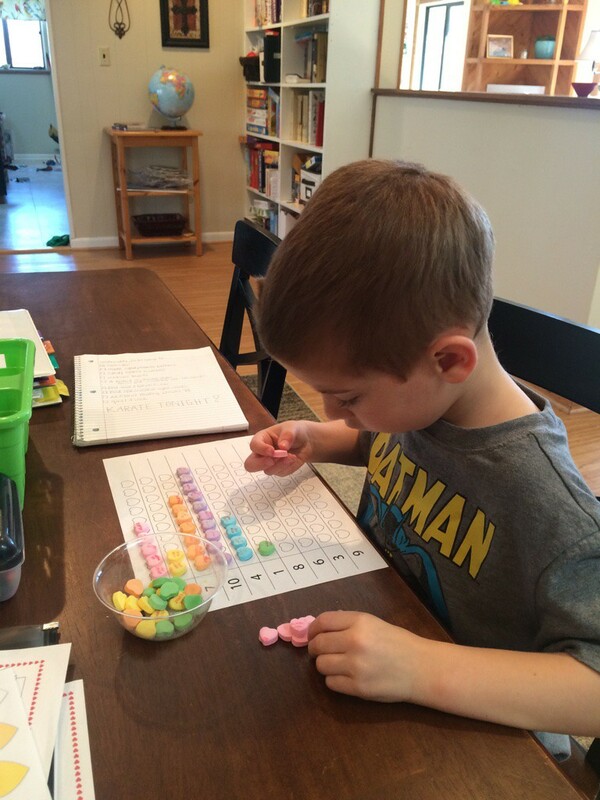 We worked on patterns with our candy hearts. 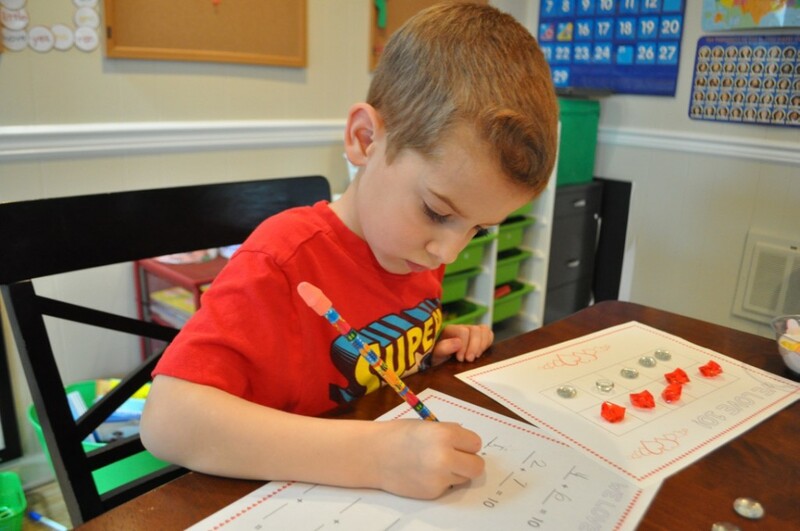 I let him work on some of these patterns first, and then we created our own patterns. Timmy did this a little bit with us, but again he mostly just ate candy hearts. 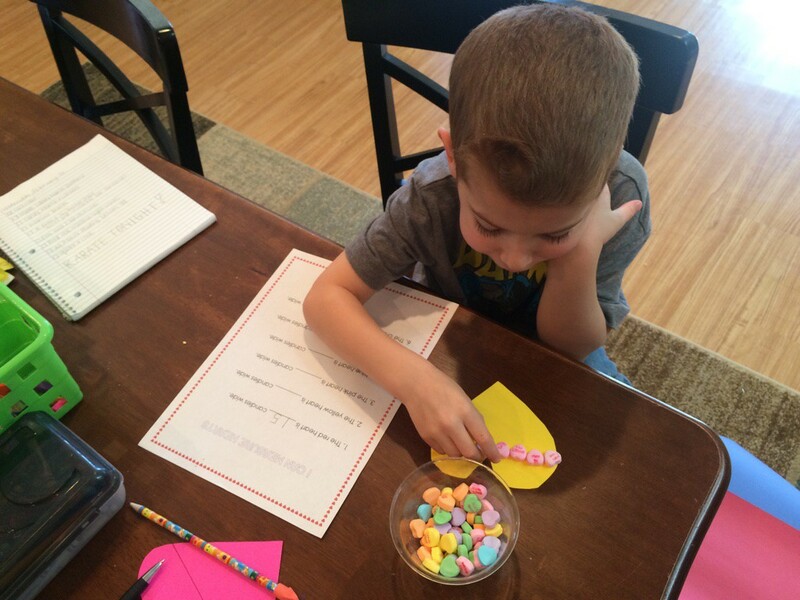 I did manage to slow down the candy heart intake by pulling out the letter V do-a-dot printables from the Fruit of the Spirit Curriculum. 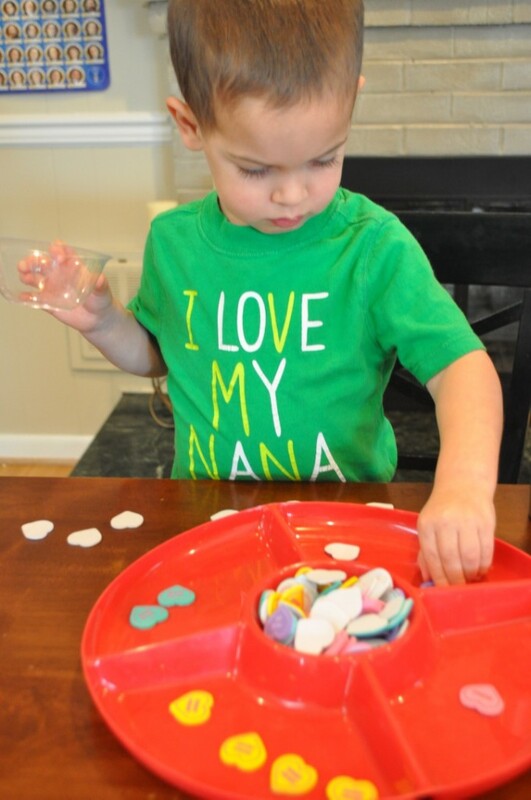 I had him add foam hearts to the circles to make a big V and little v. He loved this! 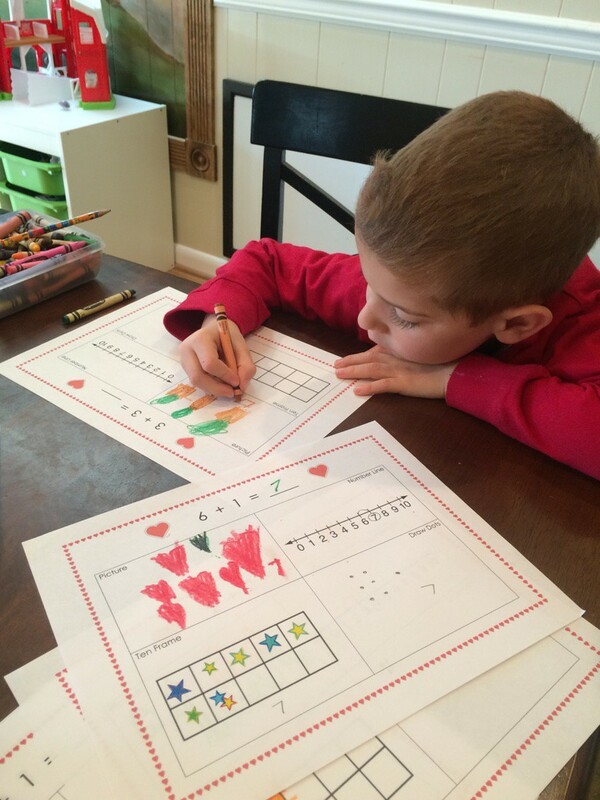 Meanwhile, Sam worked on this fun heart-themed math worksheet. I loved that he chose to make each row one single color. He loved this activity. I guess there was much to love this week (bad joke?). 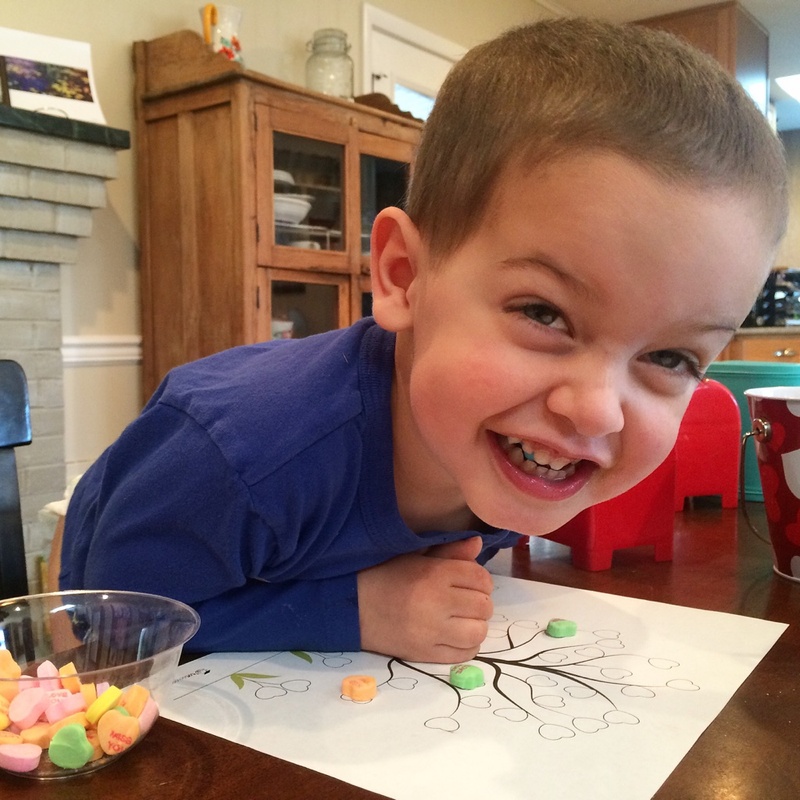 This one wouldn’t do a thing except eat his candy … I tried. I really, really tried! haha! 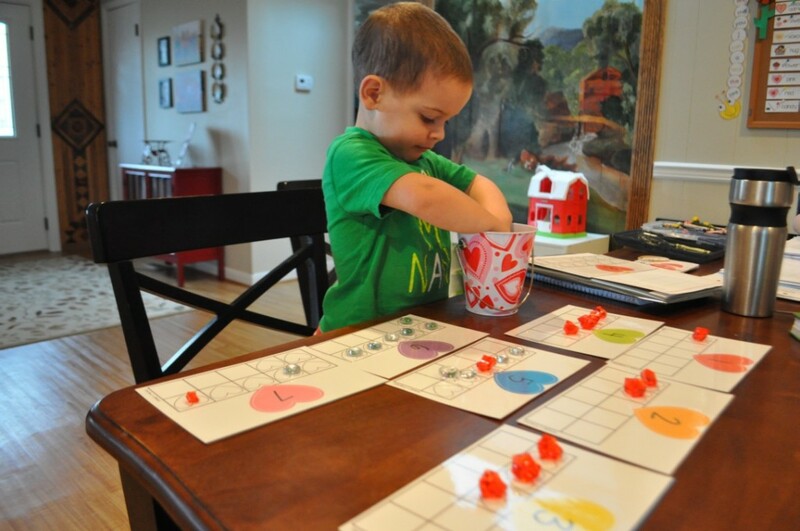 I snagged this math center for free from A Spoonful of Learning! It was excellent on so many levels. He thoroughly enjoyed it. 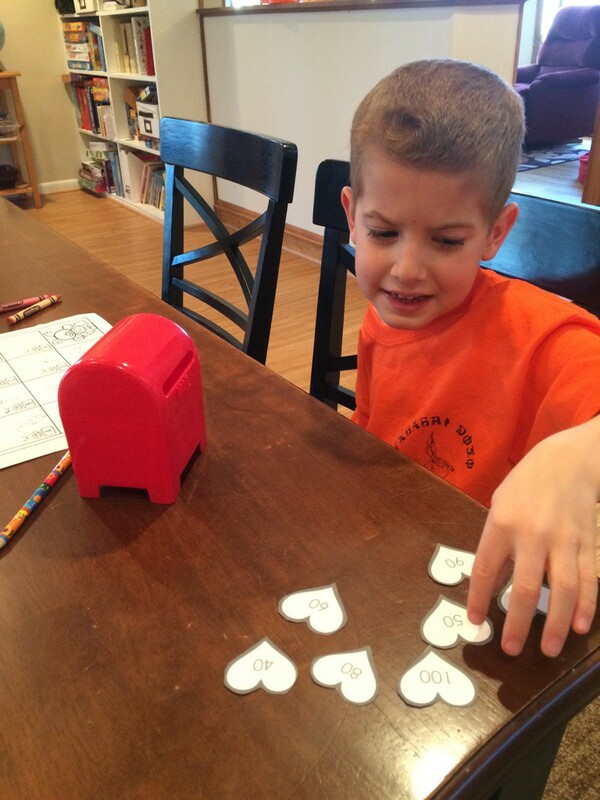 I made some simple number hearts for him to work on counting by 10’s. He had to feed the hearts to the mailbox as he counted. 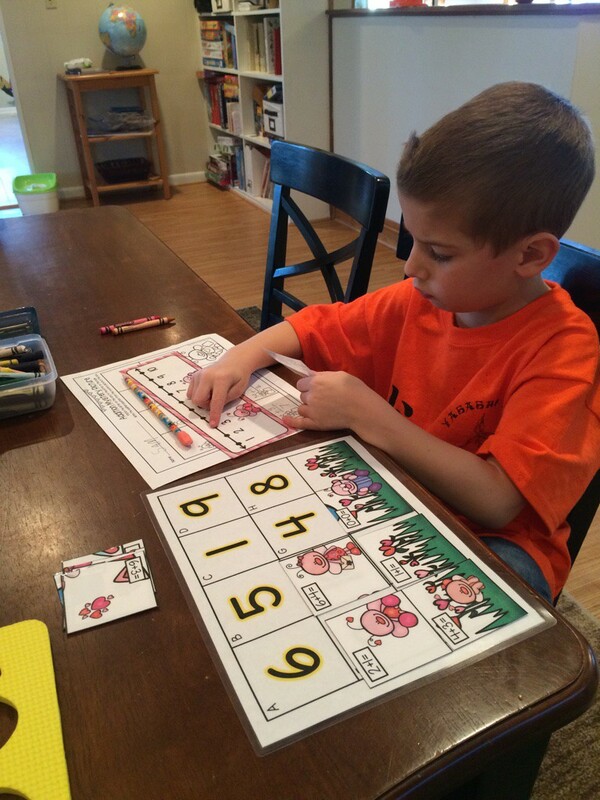 We also worked on our number sight words. He’d read them and feed them to the mailbox. 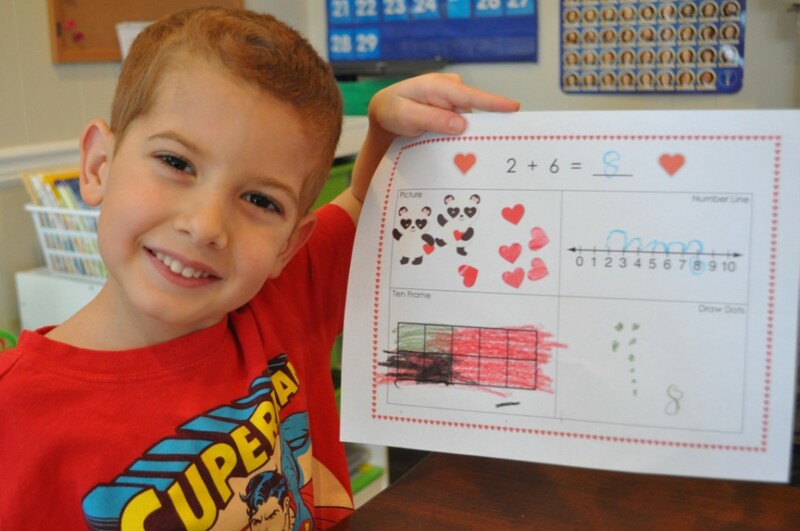 Finally, while I taught Sam how to play War, Timmy put heart stickers all over this entire worksheet. These stickers were a hit with him this week. Another find at Target! We had a very full week, but it was a very fun week. 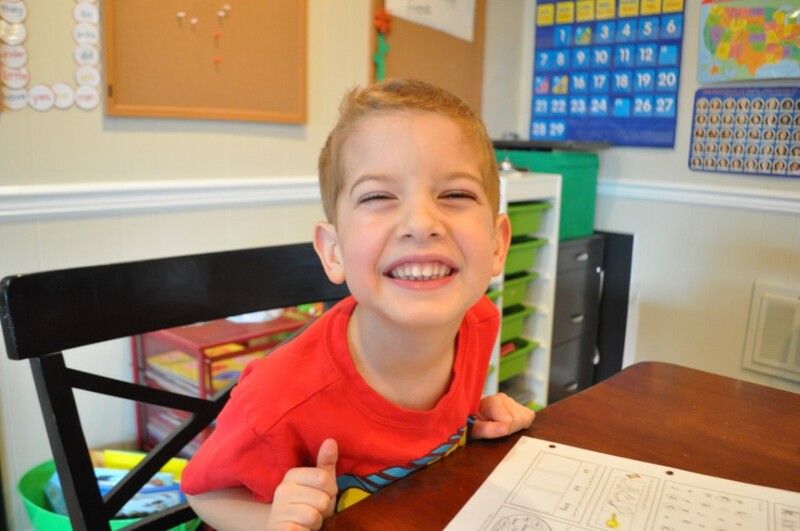 The boys were both all smiles during school time which was such a blessing. I can’t say much of the same for the other parts of our days because Timmy decided to potty train and all of us are just tired of winter weather. We are really looking forward to Spring! 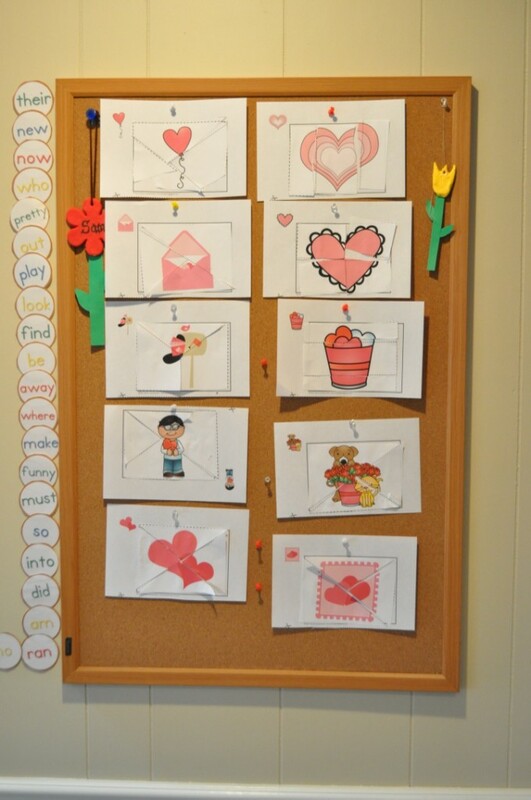 This entry was posted in Homeschool, Samuel, Timothy, Valentines, Winter by duttonla. Bookmark the permalink.